Are Microsoft and Google turning their backs on their hardware partners? It's been a bad month for OEMs (Original Equipment Manufacturers), the firms who actually make most of our gadgets. Apple's been ignoring them for years, of course, but this month Microsoft and Google decided to stick the boot in too. For Google and Microsoft, the model has always been simple: they make the software, and the OEMs do the hardware. There have always been exceptions - the Xbox and Zune, Google's use of the Nexus brand as a template for OEMs to follow - but something feels different about Microsoft Surface and the Nexus 7. As Obi-Wan Kenobi said in Star Wars, "that's no moon". Take Surface, Microsoft's entry into the world of tablets. Microsoft doesn't make PCs, but now it does - but there's no need to worry, because Surface is a limited-time deal, a niche product that'll only be sold in Microsoft Stores and via Microsoft's website. It's there to show OEMs how to do it, and if they rise to the challenge then Microsoft will get out of the tablet business again. And if they don't rise to the challenge? Google has the answer to that one. 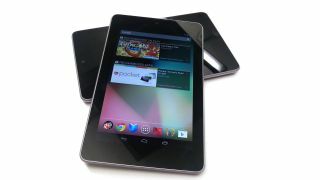 By getting Asus to make millions of exceptionally cheap Nexuses, Google isn't saying "Hey, guys! Make these!" to the other OEMs. It's throwing a tablet party, and the other OEMs aren't invited. Microsoft isn't there yet, but it's thinking about it. Surface isn't just the first really exciting Windows 8 tablet; it's also an astonishing, public bollocking to the OEMs and an explicit threat to their livelihoods. "This is what needs to be done," Microsoft is saying. "Are you going to do it, or do you want the grown-ups to take over?" Nothing's been said overtly, but the message couldn't be clearer if Steve Ballmer or Sergey Brin photocopied their backsides and sent it to the OEMs' CEOs: Microsoft and Google are telling the OEMs that their products simply aren't good enough.